Video: On FOX News With My Father's Day Picks | Breezy Mama Breezy Mama - Expert parenting advice, celebrity interviews, product reviews for kids, moms and babies and more! 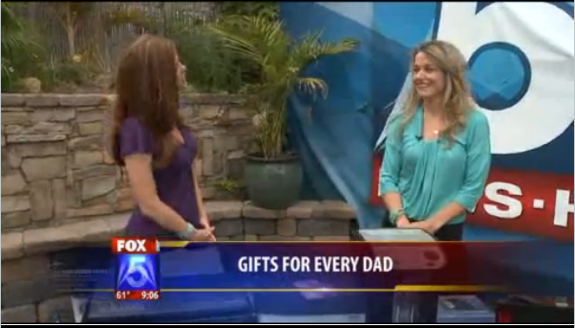 This (Friday) morning, I had a blast on San Diego FOX News sharing my picks for Father’s Day. Funny side note from the clip, I had forewarned Erica Fox, the anchor, NOT to open the BBQ… we just forgot to tell the camera man that… whoops! To watch it, click here.